I was sitting at our kitchen table for over 3 hours this afternoon working on "the list." Thankfully, I had some coffee in my snowman cup and a little smoothie to keep me going. I was rounding up as much missing information from Facebook & Google searching as possible, and I almost have it all. A good resource that I relied on was an invitation "addressing guide" from the Knot, which explained the proper way to address married vs. unmarried couples, couples + families at the same time, you name it. Anyway, I wanted to fill you all in on how registering went yesterday in case you were wondering! 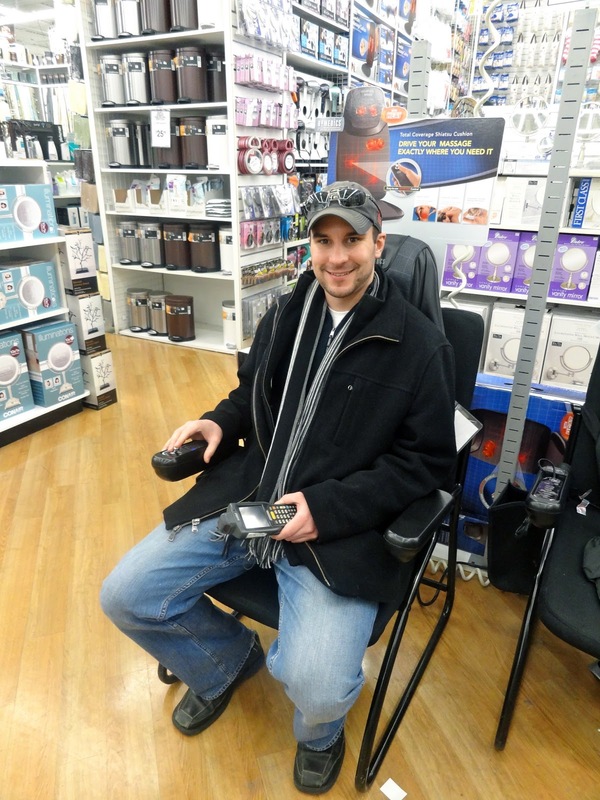 At about noon, after we were all showered up from our workout, Justin & I headed out to Bed Bath & Beyond to do the first of our registries. We will be registering at 3 different stores - BB&B, Macy's, and Crate & Barrel - to give people a variety of shopping options. I thought Bed Bath & Beyond would be a good place to "get our feet wet," since I didn't anticipate it taking very long to get through the store and we already had some ideas of what we wanted from there. I had already "set up" our registry at BB&B when I went to a Bridal Expo a few months ago, so all we needed to do was add items. Justin took immediate command of the scanning gun. 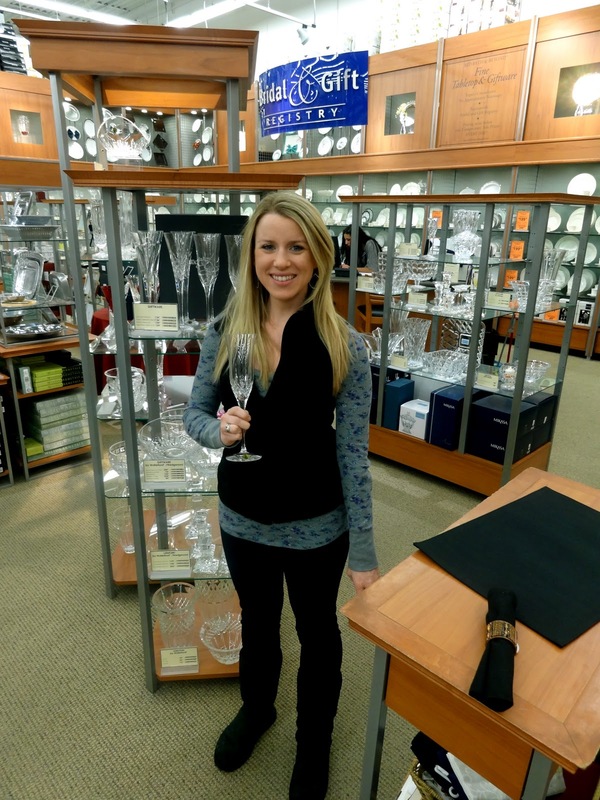 First stop was wine glasses. 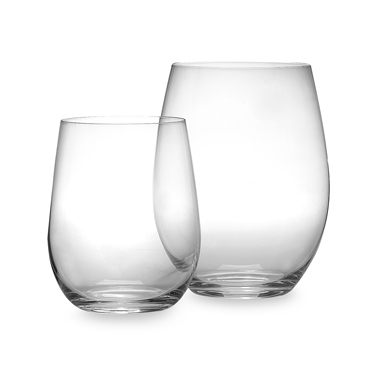 Justin & I have been big fans of a pair of Riedel stemless glasses we received from our friends Dusten & Shelby a while back. Our friends Ashley & Tyler got the stemmy Riedels for their wedding, which we got to see when we were down in STL for New Years, and we were a big fan of those too. So, Riedels were the first no brainer scan. After that, Justin & I headed over to flatware, which I thought we would do @ BB&B because there seemed to be a lot of options. Let me just say, I'm glad I didn't just opt to make an executive decision on our flatware, because Justin was notta fan of my choice (which I can't even find online because it was obviously that cool). We ended up not finding a set that we both loved, so we decided to wait on flatware for either another trip or another store. We also did a little dinnerware browsing, but couldn't commit to a set just yet. We both did really liked this one by Noritake. I think we have decided to forego the "fine china" for now - just not enough space or need for it at this point in our lives. After doing some bakeware and deciding we had absolutely no idea what we needed in the way of utensils (definitely should have done an inventory before hand), I lost Justin somewhere around the sheets. The most polarizing item almost scanned? 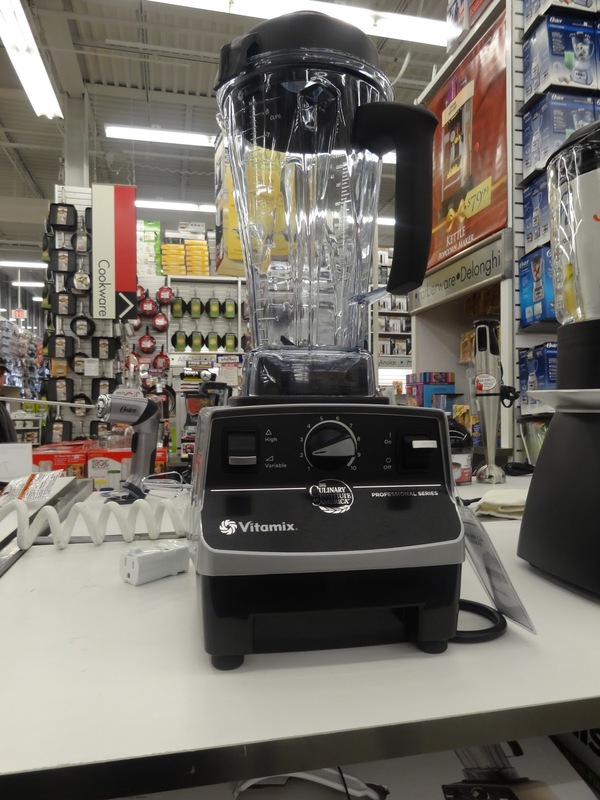 The ah-mazing VitaMix Professional Blender. Can someone pleeeeaasssseee explain to Justin why this is the coolest thing since sliced bread? I was having so many smoothie day dreams, but we ultimately decided against it. The most exciting item scanned? 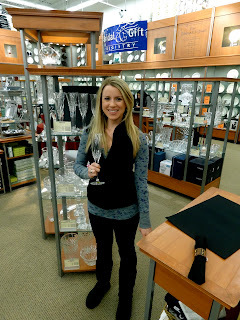 There is something about Waterford crystal that just oozes classic elegance to me. 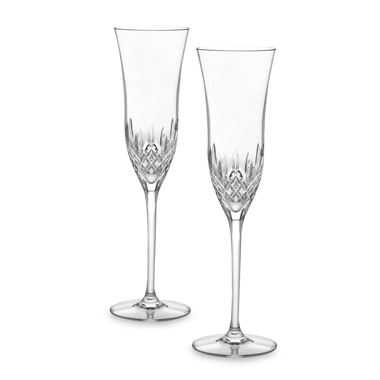 I loved these because I felt that they were classic Waterford with a modern twist. After a little over 2 hours spent at BB&B, we decided that we had done enough scanning for the day. I'm thinking we might head back there one more time, or else add any other items online, after we have seen what the other stores have to offer. We hope to go to Macy's in the next couple of weeks, and then we RSVPed for the Crate & Barrel registry event the morning of Superbowl Sunday - fun day, I'd say. I used this recipe from Food Network (+ Spinach, - some cheese & butter), which is actually one I tried back when I was first cooking for the two of us. When I saw that Courtney over at Sweet Tooth Sweet Life made it recently, I knew it was due for a repeat. The dish was definitely a hit at our house (Justin put it in the top 5 meals I've ever made! ), and we enjoyed it again as leftovers tonight. I'm off to catch some zzzzz's after a long, but productive Sunday. Hope you all have a relaxing evening!